No one likes to anticipate an outsourcing relationship going bad, but a certain number of them inevitably will. Ideally, the two parties are able to work through disagreements without resorting to legal remedies, but having a mechanism for resolving disputes short of litigation is critical — particularly when working with foreign IT services providers. That’s why incorporating an effective arbitration clause into international outsourcing contracts is critical. “Being able to access the assets of a counter-party to satisfy a judgment or arbitration award is a critical factor in deciding what type of dispute resolution mechanism to include in a contract,” says Robert Kriss, partner in law firm Mayer Brown’s Washington D.C. office. “Most countries are not legally obligated to enforce a judgment issued by a U.S. court against assets located in their countries. However, most countries—including China, India and Mexico — are legally obligated to enforce arbitration awards (subject to limited exceptions).” Those countries and nearly 150 others signed the New York Convention for the Enforcement of Foreign Arbitral Awards. So when working with companies with most of their assets in one of the countries that signed that international treaty, an arbitration clause is necessary for meaningful dispute resolution. Unlike litigation, arbitration also provides for neutrality--both in the place where the dispute is resolved and in the nationality of the decision maker, says Kriss, and arbitration proceedings are also more confidential than judicial proceedings. While the prospect of public judicial proceedings can sometimes deter IT providers or give the customer settlement leverage, arbitration is generally a faster and less expensive alternative. Large, complex outsourcing deals may justify more robust arbitration process, says Brad Peterson, partner and co-leader of Mayer Brown’s Business & Technology Sourcing, while it might be more efficient to create a simpler arbitration approach with limited discovery for smaller contracts. “A particularly technical sourcing effort might call for a requirement that the auditor be skilled in the technical specialty,” Peterson adds. 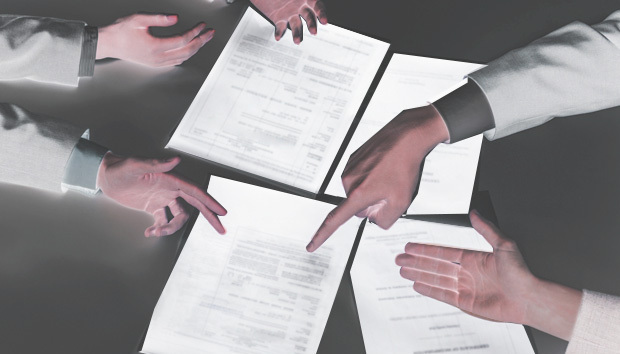 Imprecise language of an arbitration clause in an offshore outsourcing contract can be not only insufficient, but also dangerous. Indeed, one word can make a difference. A classic example of a poorly worded arbitration clause is one that states that all disputes arising between the parties may be resolved by arbitration. “Because arbitrators are authorized to resolve party disputes solely by the terms of the contract, it is necessary that parties use the word ‘shall’ rather than the word ‘may’ in delegating authority to the arbitrators,” Howes says. “If the contract states that the disputes "may" be resolved by arbitration, it opens up the arbitration to jurisdictional challenges.” Other poorly worried arbitration clauses fail to state where the arbitration will take place or fail to state the language of the arbitration. “While these clauses are enforceable, they are subject to disputes that increase the length and expense of arbitration,” says Howes. An agreement that any awards issued by the arbitrators "may be enforced in any court of competent jurisdiction"
A number of additional optional provisions should also be evaluated on a contract-by-contract basis, says Howes. Some customers include an expedited arbitration provision, for example. “Expedited arbitration can be very effective in maintaining a good working relationship in outsourcing relationships where numerous disputes involving relatively small amounts of money may arise and—if not quickly resolved—accumulate and put stress on the relationship,” Kriss says. “The contract can provide for a single arbitrator, an accelerated briefing schedule, no discovery, and resolution within a very short period of time (say, 30 days).” Each party submits a resolution to the arbitrator, the arbitrator holds a two-hour hearing after reading each side’s brief, and can only chooses the resolution offer he or she deems fairest. “Under this procedure, the parties have an incentive to submit reasonable resolution offers and may be able to settle their dispute quickly without needing a hearing,” says Kriss.